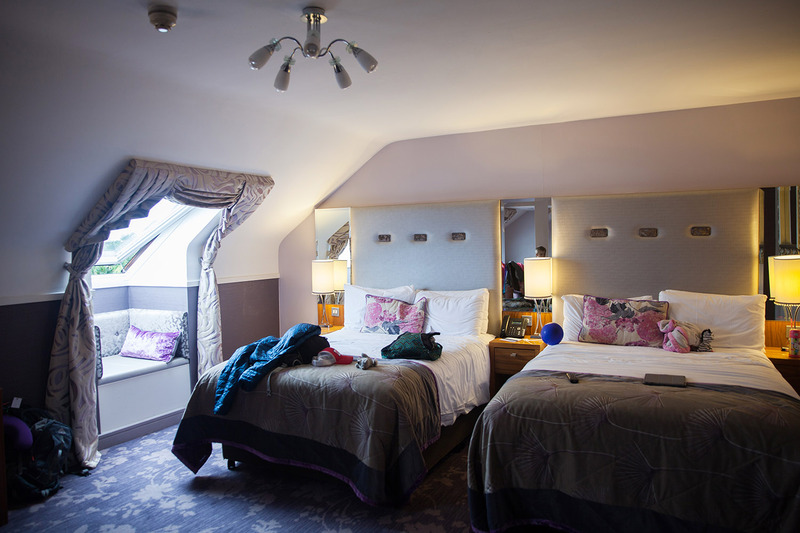 Whether you’re yearning to fulfill a fairytale fantasy or you’re just a huge history buff, you may have dreamt about spending the night in a real Irish castle. 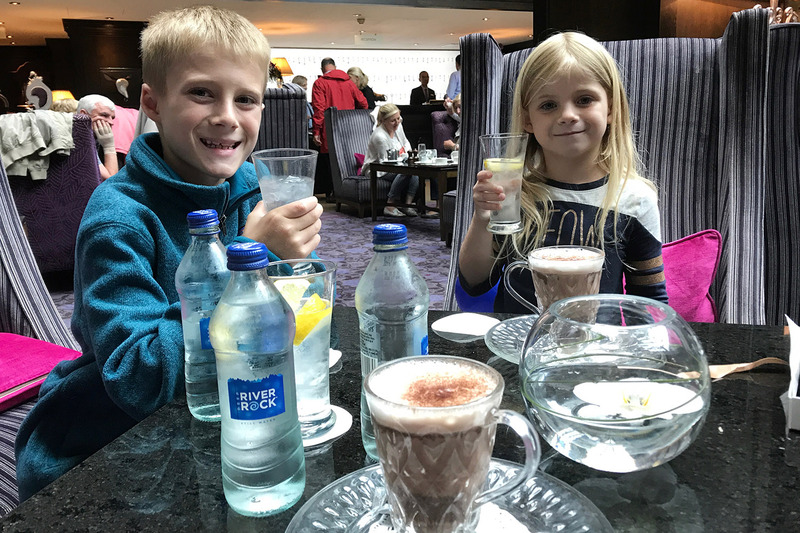 After nearly three weeks exploring Ireland, we wanted our last night in the Emerald Isle to be a memorable one. 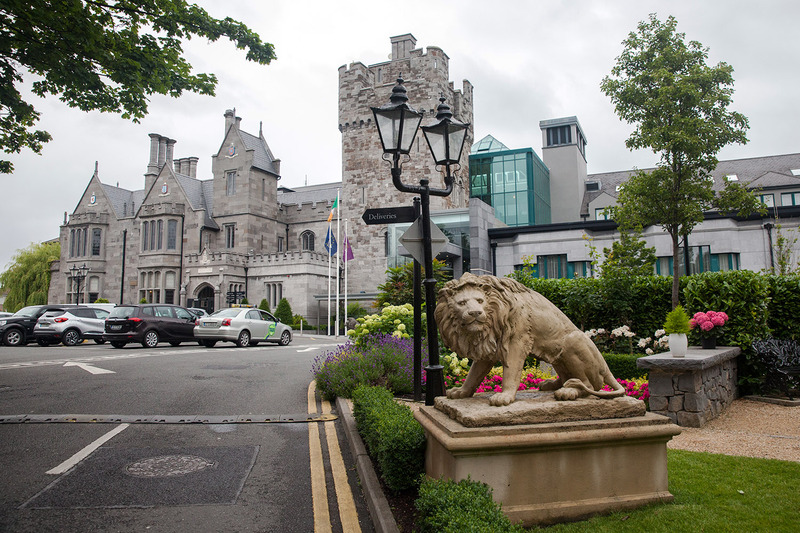 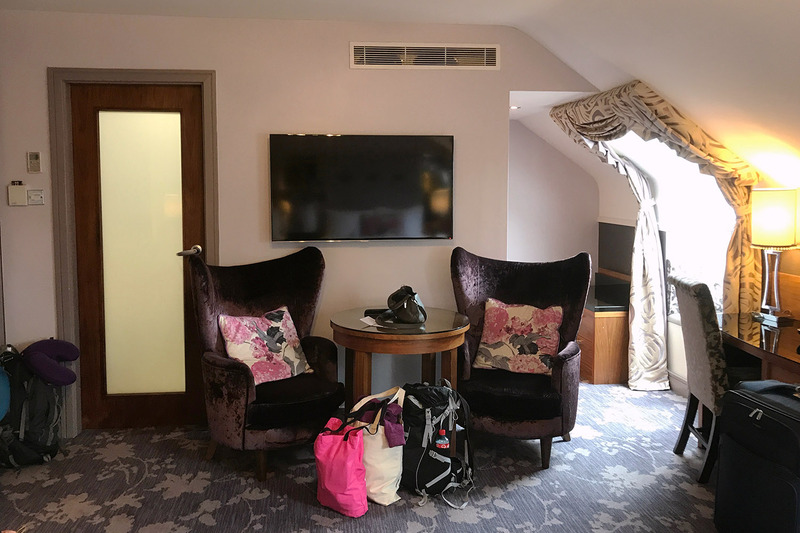 So we dusted off our royal robes and settled in at the Clontarf Castle Hotel in hopes to be transported back to the surroundings of a 12th century castle. 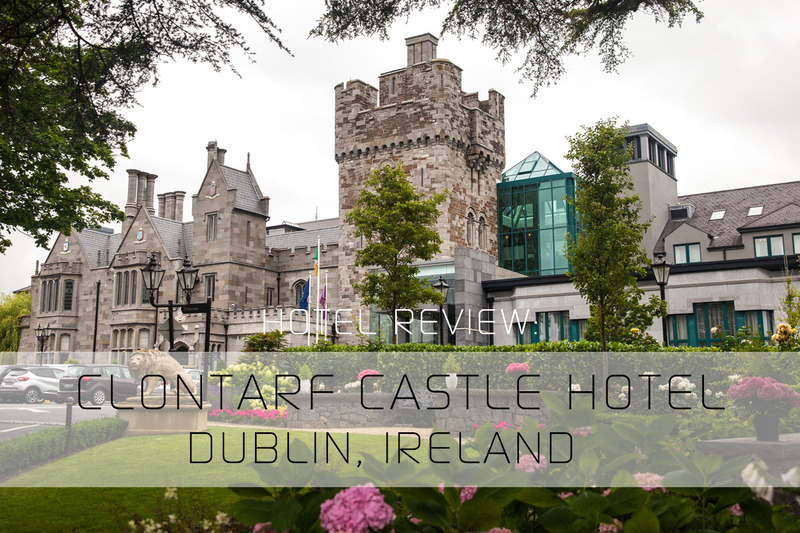 The Clontarf Castle Hotel is only a 10-minute drive from Dublin City center, but offered a delightful seclusion from the city’s bustle. 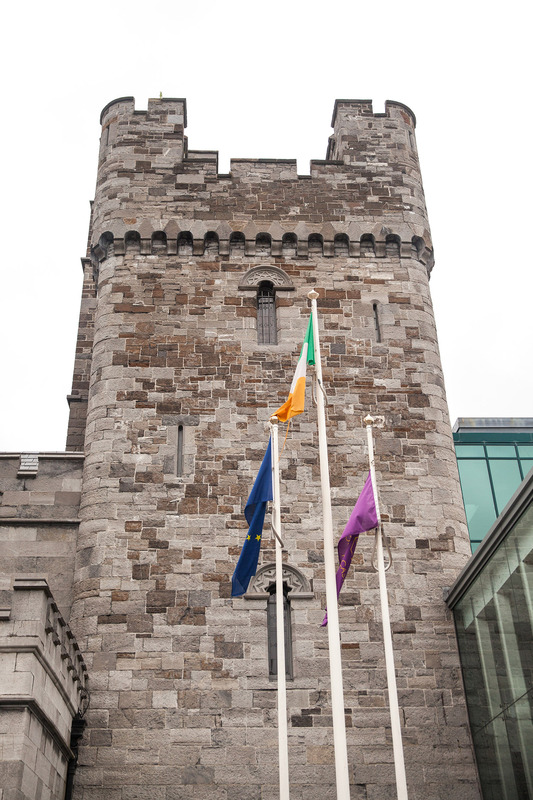 There has been a castle on this site since 1172, when Hugh de Lacy built the castle as a part of an inner circle of defense to protect the city of Dublin. 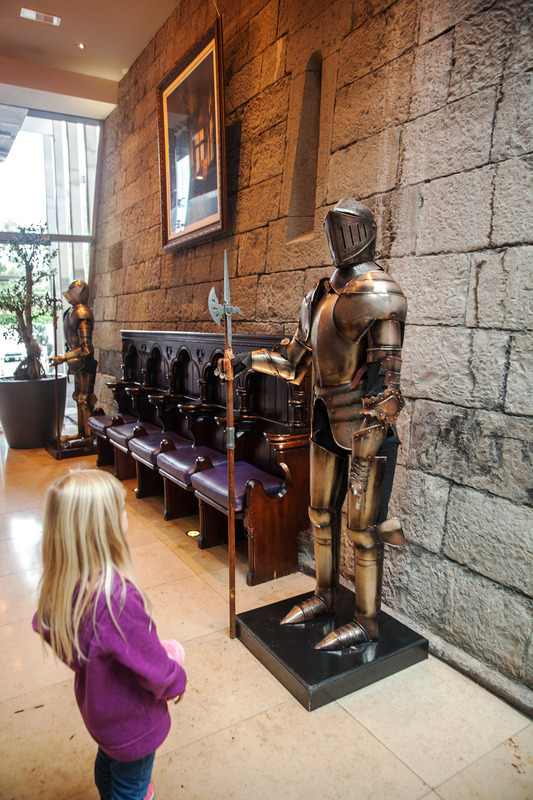 From the time of its construction, the castle’s owners included the Knights Templar and the Knights Hospitaller. 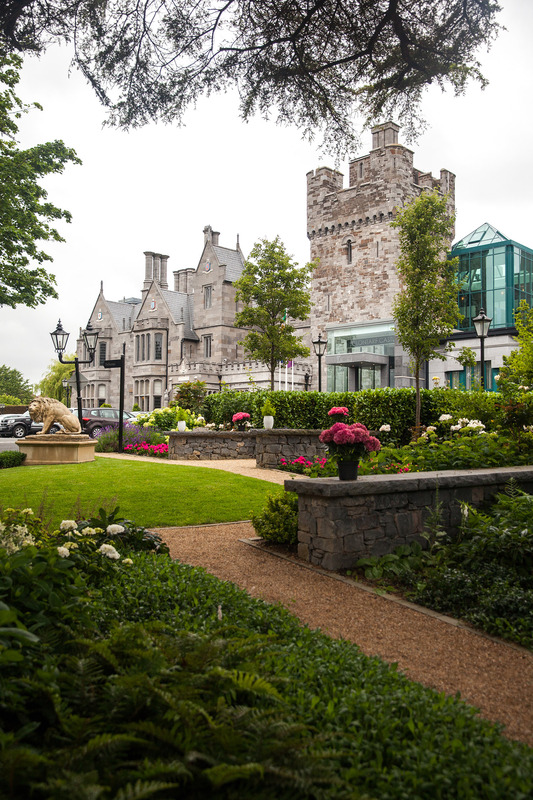 The Castle was rebuilt in the 1800’s, and in more modern times, was restored and extended to become a luxury four-star hotel which retains all the heritage and history of the building. 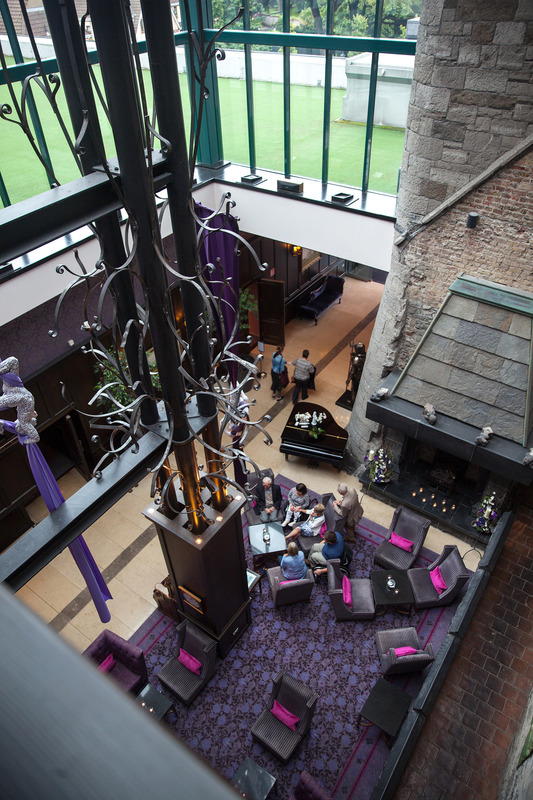 The old part of the castle is a listed building, while the newer part is more contemporary and creative in style. 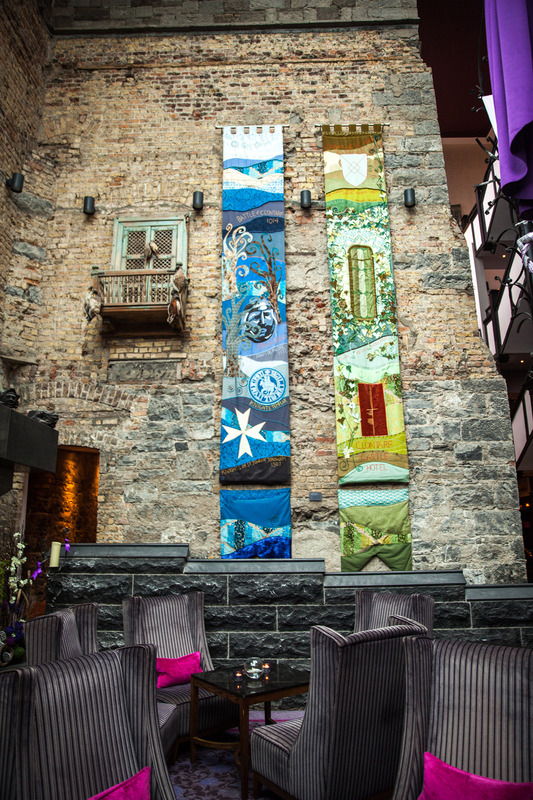 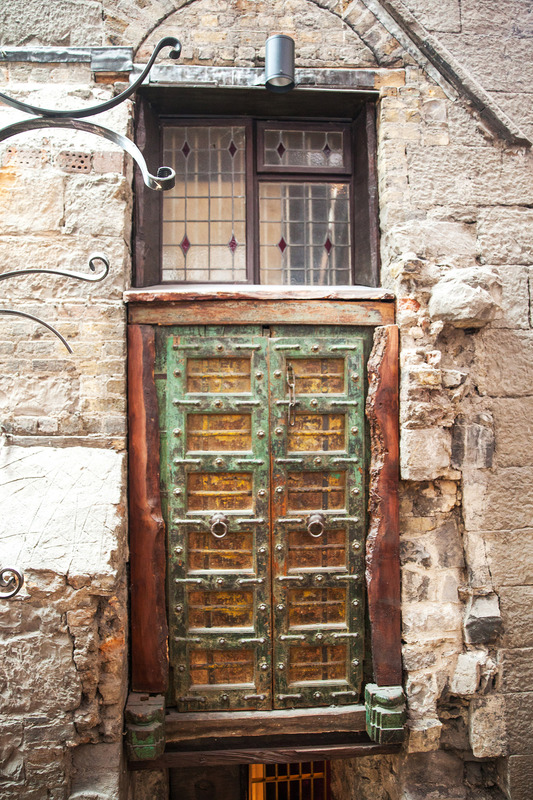 These historic walls have witnessed the best of celebrations by royals and wealthy families alike, and the castle still holds that old-world feel with comfortable furnishings, bespoke art, luscious textiles, bold fabrics and vibrant colors. 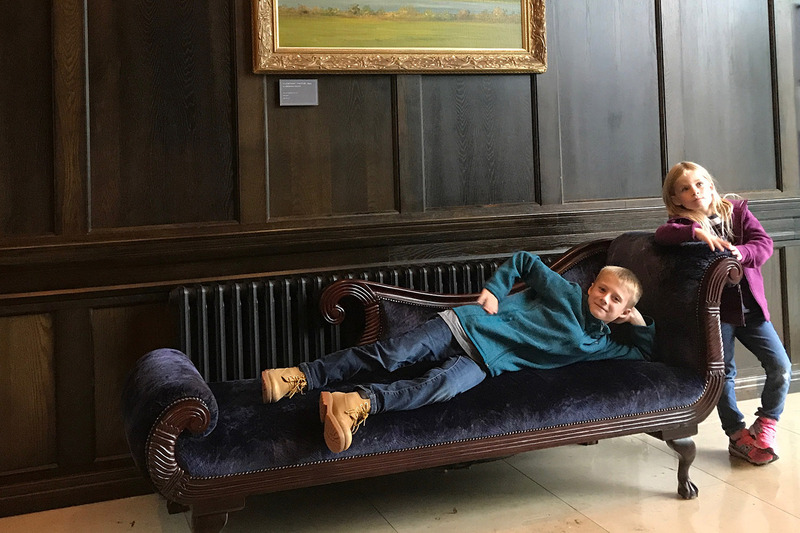 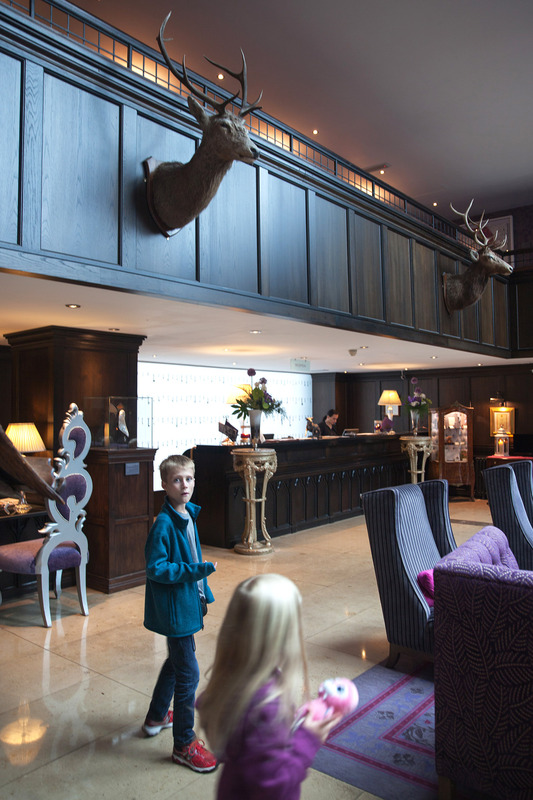 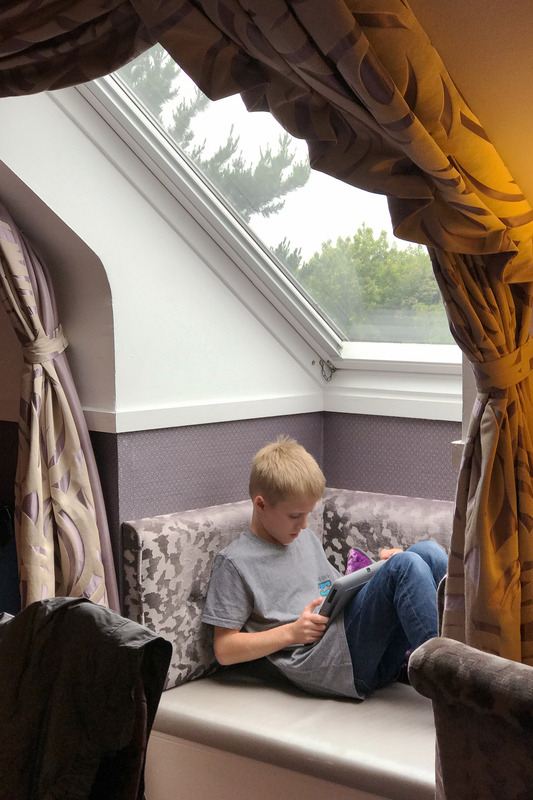 Staying in a castle was a once-in-a-lifetime experience for our kids, and Clontarf Castle Hotel was the perfect choice to end our incredible three-week trip through Ireland. 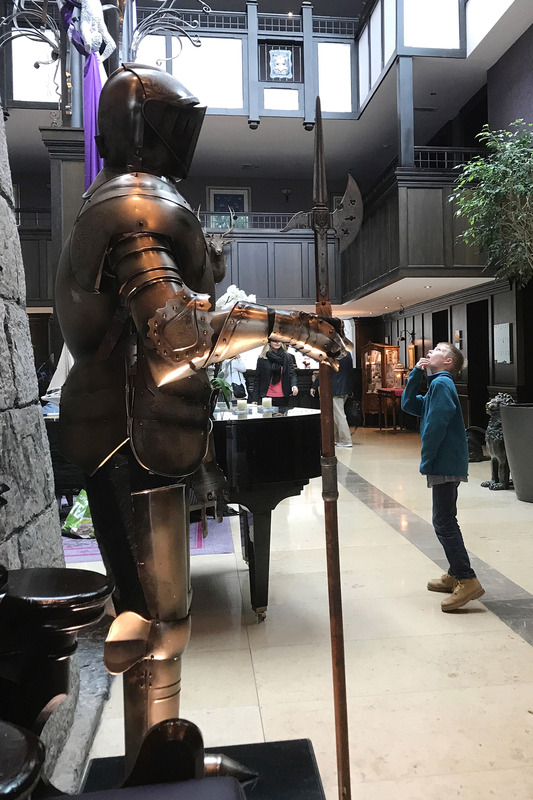 I MUST stay at this hotel! 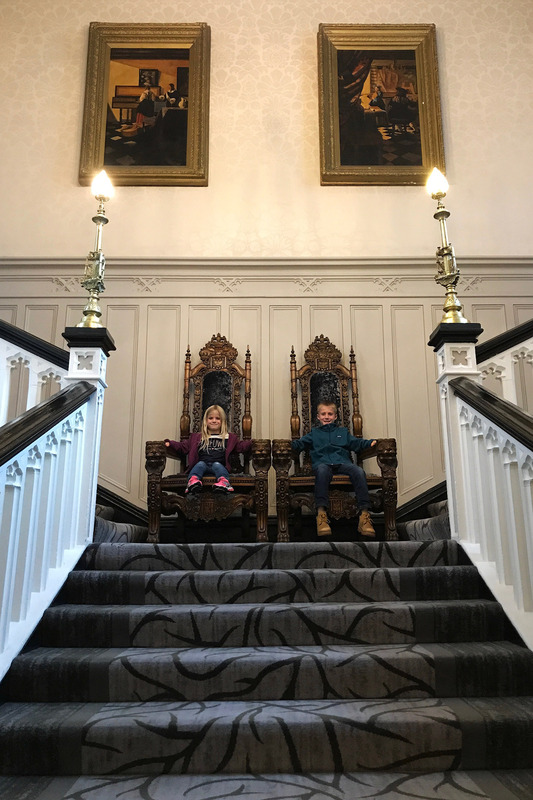 I bet your kids had a blast!